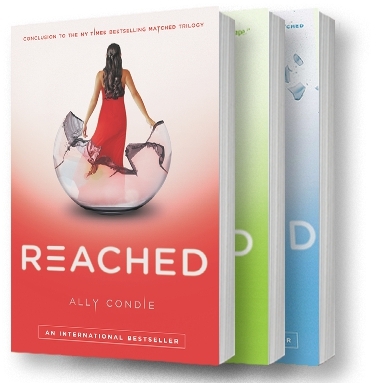 The final installment of three successive book reviews featuring Ally Condie's young adult dystopian series Matched / Crossed / Reached. Click here to read my review of Matched and here for my review of Crossed. "You cannot change your journey if you are unwilling to move at all." In the final installment of the Matched series, author Ally Condie mixes things up once again with her narrators. 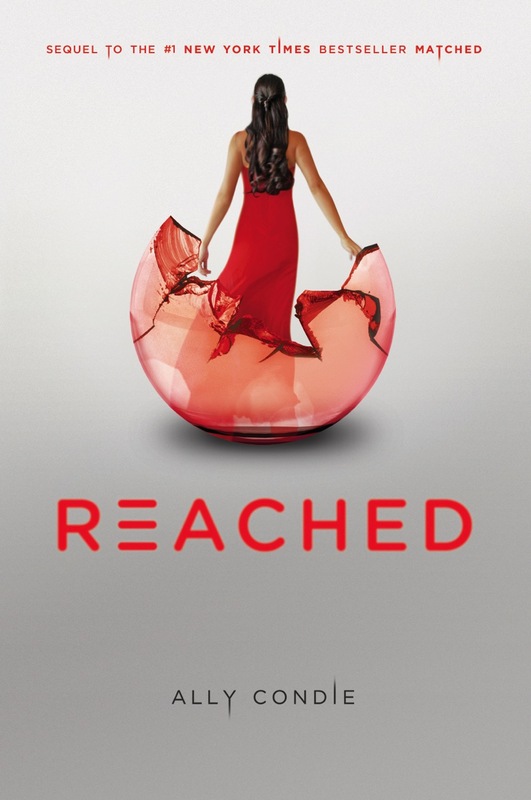 In Reached, readers now get to enjoy reading from Cassia's, Ky's, and Xander's perspective. While Cassia and Ky have been on the run trying to escape the war, the Society, and the plague, Xander has been left behind in the city. As with Reached, I liked the change in narrators but I believe this in part stemmed from a preference for an increased distance from Cassia's personal storyline as I had more interest in learning about the greater implications of the war than in following her love saga. Xander has secretly been a part of the rebellion against the Society for years--years before Cassia even knew about its existence. Xander works on the inside as a medic helping to treat plague patients by administering a cure, but one that seems to no longer be working. Xander can't help but wonder if Cassia knew about his rebellion loyalties, if she would come home. When she does come home, however, she is not alone. The plague is not only spreading throughout the society infecting both citizens and rebellions alike, but also mutating into a new form that no one can control. Though Xander discovers he is immune, Cassia, Ky, Indie, and all of their family and friends are at high risk of infection. When Ky becomes ill and Cassia learns more about her grandfather, her heritage, and her role in the rebellion, she is forced to confront numerous choices about her future, her ability to find a cure, and her heart. As the plot reached its climax, I feared the love triangle would end in one of two ways; I was pleasantly surprised when Condie concluded things in another manner. I liked Reached more than Crossed, but didn't enjoy either as much as the first installment Matched, a trend I'm noticing with most contemporary YA trilogies. With the publication demand to release titles as quickly as possible, I can't help but feel as if some of these authors are making it up as they go, as opposed to drafting, redrafting, and editing their second and third installments as much as they did with their first. In the ending to the Matched / Crossed / Reached series questions are answered and a couple new puzzle pieces add some interesting twists. At the conclusion of my reading [audiobook listening], I was glad that I'd satisfied my curiosity and completed the series--the books are fast enough to read quickly--but I would still definitely recommend the first book Matched above the subsequent titles. Share your thoughts about the series or other teen reads below! I didn't even realize there was a love triangle here. Huh. Probably best that I didn't fully invest myself in this series.